Under Construction. - Coming in April! 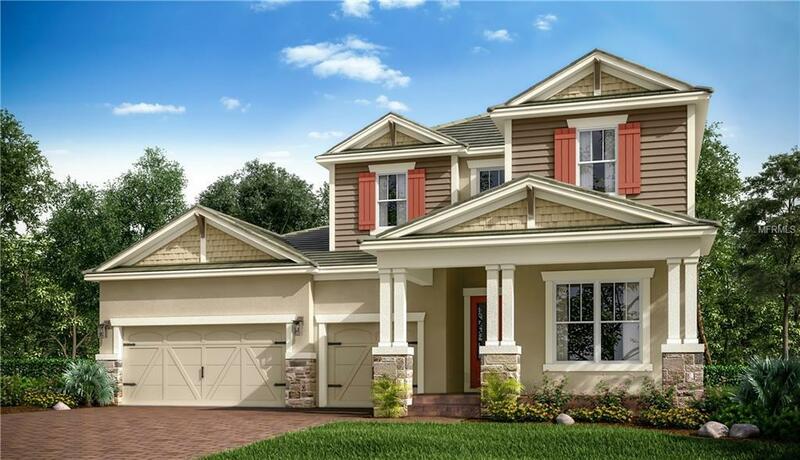 The Caladesi offers over 2900 SF in this two-story plan with 4BR, 3.5BA, a study, game room, and 3-car wide garage. This craftsman style includes an elevated front porch, exterior shakes, siding & stone, slate tile roof, and a brick paver driveway. Enter through a volume ceiling in the foyer, highlighted by a wood spindle staircase and overlook that is open to below. A private study off of the foyer makes for a perfect home office. Enjoy an expansive gourmet kitchen with a large casual dining area, painted white cabinets, London Sky Cambria countertops, under-cabinet lighting, and GE appliances including a 36 gas cooktop range, microwave/wall oven combination, dishwasher, and designer range hood. Pocket Sliding Glass Doors in the gathering room lead to a covered lanai, already pre-plumbed and wired for your summer kitchen! Your spacious owners suite is located on the main floor, and features a huge closet, his and hers vanities, garden tub, and a large shower with frameless glass enclosure. Three secondary bedrooms, two bathrooms, and a spacious game room on the second floor provide plenty of separate spaces for the whole family. Starkey Ranch is a beautiful 2,400-acre master-planned community. Amenities include a community pool and splash pad, 2 dog parks, a playground, picnic pavilions, an event lawn and five miles of paved trails. Plans for a future Starkey Ranch District Park include softball and multi-sport fields. Photos are of model, not actual home.